Rebellious, entitled, disrespectful, many kids pummel their parents with demands, and boss them around with impunity. Experts might label them "difficult" and advise how to "fix" them. But parenting struggles rarely originate from just one side. Instead, they erupt at the volatile intersection of a child's personality with a parent's own insecurities and behaviors. Fixing the child requires fixing yourself. In When Kids Call the Shots, therapist and parenting expert Sean Grover untangles the forces driving family dysfunction, and helps parents assume leadership roles. 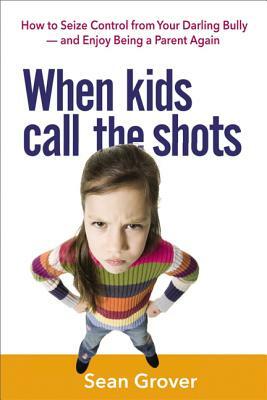 With a liberating message and perceptive advice, the book explores: Three common bullying styles (defiant, manipulative, anxious) used by kids * Parenting styles (guilt-prone, anxiety-fueled, fix-everything) that contribute to power imbalances * Critical testing periods in a child's development * Coping mechanisms that backfire * Personalized plans for calmly exerting authority in any scenario * And more Caving in to tantrums and threats breeds more of the same. Learn to stop the cycle of abusive behavior and make parenting a pleasure again. SEAN GROVER, LCSW, has worked in child development and adult psychotherapy for 20 years, and maintains one of the largest private group therapy practices in the U.S. He has been quoted in Newsweek, New York Magazine, NPR, and elsewhere about parent-child relationships.